Predicting trends, envisioning the impact of design, understanding the psychological nature of recreation, retreat, and relaxation. The LA Group has had the honor of helping resorts around the region define unique spaces and places for people to visit and enjoy. We’re excited to join in the celebration of two of those resorts, The Sagamore Resort and Mohonk Mountain House. These one-of-a-kind destinations have just been named Top Resorts in New York State and the Mid-Atlantic by Conde Nast Traveler’s 2016 Readers’ Choice Awards. 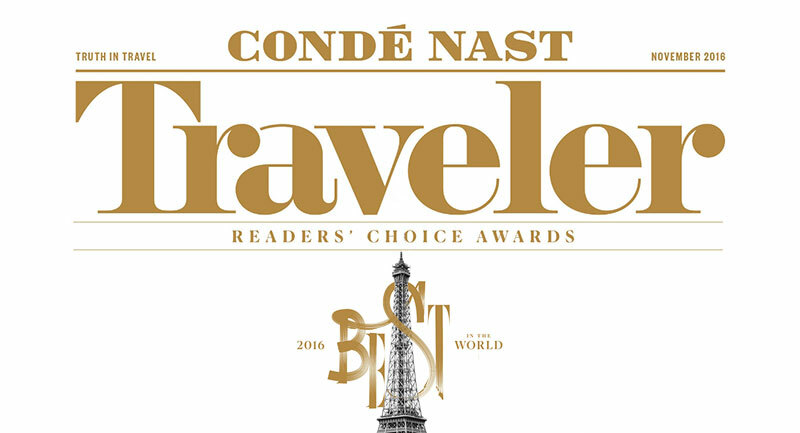 Resorts recognized by the Readers’ Choice Awards have to stand out amongst thousands of traveler comments and millions of survey responses. These LA Group clients have made it to the top of this regional list and remain repeat award winners, preserving their space on the grander scale of exceptional destinations around the world. Conde Nast awards prioritize the experience each resort creates for its guests and, while The Sagamore and Mohonk Mountain House excel in all areas of customer service, The LA Group has had the privilege of assisting in the development of some of their most treasured amenities. 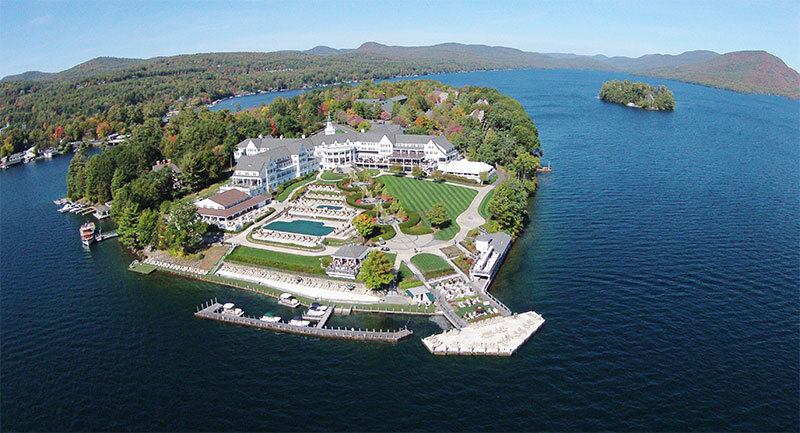 With initial projects in the 1980s, renovations throughout the early 2000s, and projects continuing into the future, the LA Group has helped the resort create a multitude of places for people to gather and immerse themselves in the panoramic views of the Adirondack mountains and Lake George. In reviews of the Sagamore, guests repeatedly comment on the sweeping waterfront. The LA Group helped the resort transform this space, previously simple lawn, into a destination landscape that can entertain hundreds of guests without ever feeling crowded. Private gathering areas, tiered seating, and meandering pathways make the entire property accessible and memorable for all visitors. 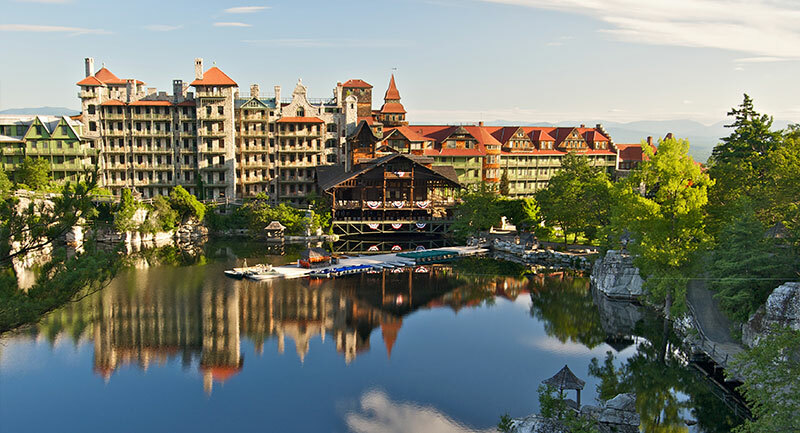 Guest reviews of Mohonk Mountain House often remark on the spectacular views, sunsets from private balconies, and the rich amenities that range from spa services and mineral baths to hiking trails and horseback rides. Over the past decade, The LA Group has completed a series of projects to help the resort bring the treasured aesthetics of its surroundings into every element of the property itself. From the parking lot, through check-in, up to their luxury rooms and off to their memorable activities, guests today can truly escape to a bygone era with seamless, historic character woven into every detail. A Design Vocabulary Study: A research study to establish a consistent theme of site amenities and features. The results are used as a reference to ensure the original character and essence of each guest’s experience is preserved as the resort evolves. 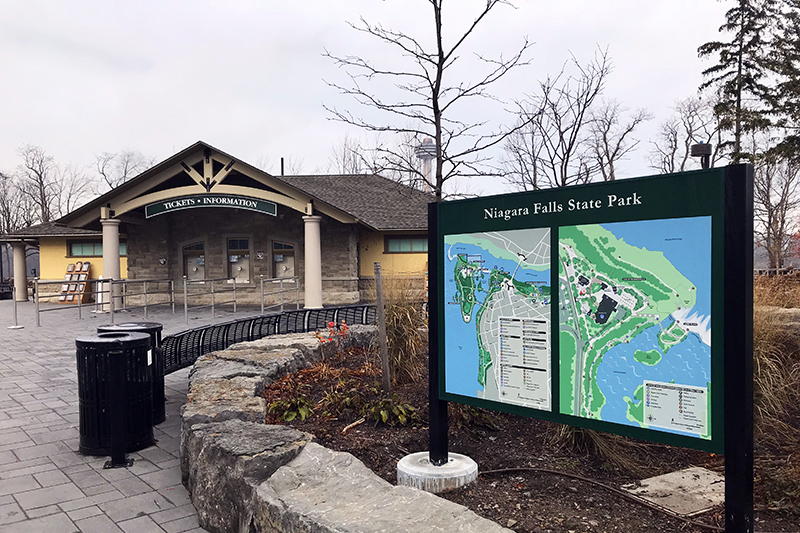 The Gatehouse Improvement Project: The LA Group helped the resort locate a new visitor check-in building, reorganize pedestrian and vehicular circulation patterns, and implemented aesthetic enhancements to improve the gateway into the historic property. The West Porte-Cochere Expansion Project: With a goal of increasing the efficiency of the guest check-in experience, The LA Group created vehicular traffic separation between cars and pedestrians, enriching each guest’s first impression of the Mohonk Mountain House. For more on The LA Group’s experience developing campuses, resorts, and recreation areas, please view our portfolio.